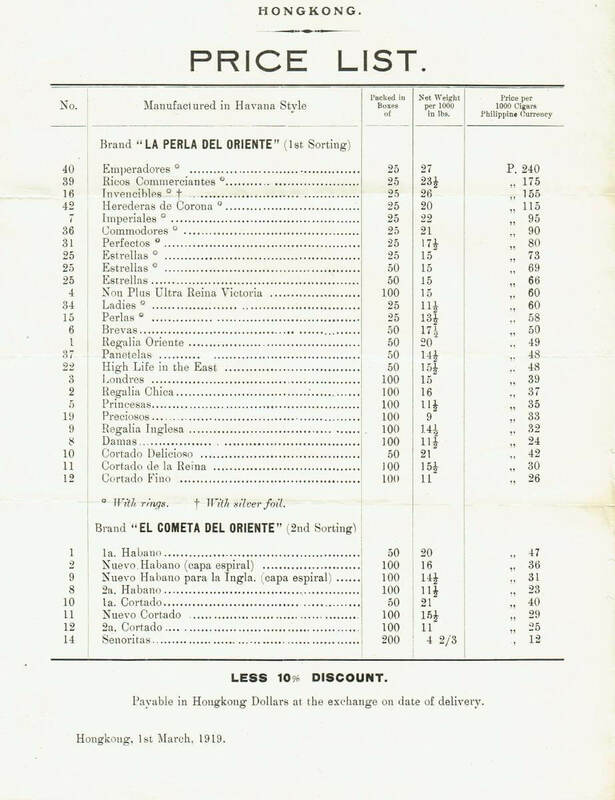 Edward Schneider, Carl Ingenohl’s great-grandson, has sent these two pricelists and an undated but considerably later photograph of Orient Tobacco Manufactory’s outlet in Hong Kong. Carl Ingenohl was the owner of the company and further information about both man, company and Hong Kong factory can be found in several articles linked below. If you can add anything about the OTC in HK, Carl Ingenohl in HK, in the Philippines or elsewhere, please contact the group. It would also be of great interest to learn more about the OTC shop, location, dates, staff etc. It was probably in Central. 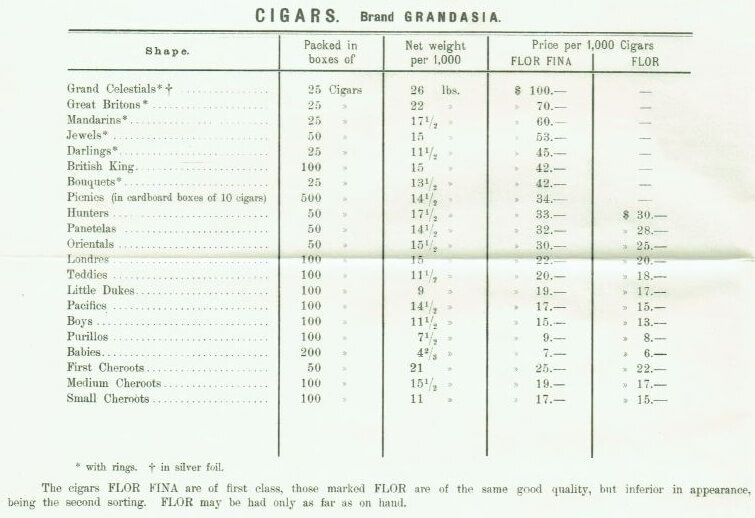 Edward says the business was finally killed by the Second World War and the factory site was sold in 1952. The staff’s clothing in the shop looks, to my untrained eye, as early 1940s but possibly post WW2? 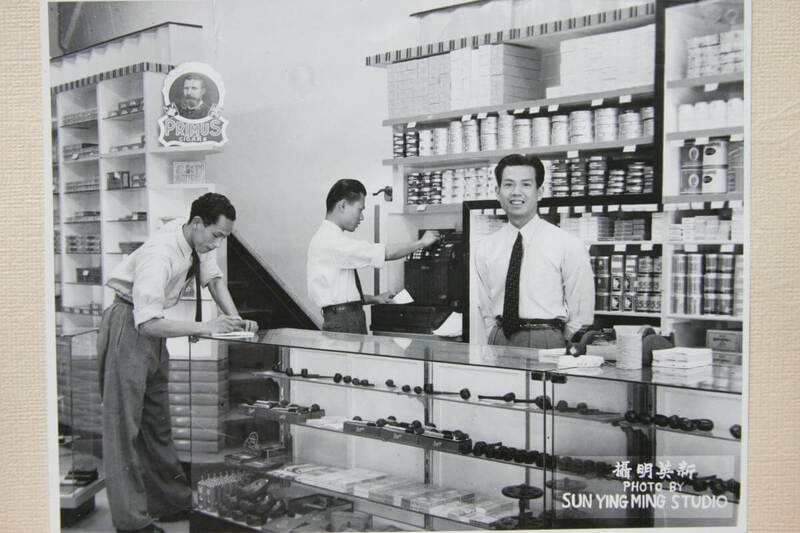 Incidentally it would also be interesting to know more about the Sun Ying Ming photographic studio who were responsible for the shop image shown below.